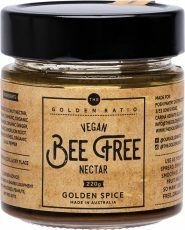 The Golden Ratio Bee Free Nectar is a deliciously smooth, vegan-friendly ‘honey’ that’s the perfect alternative to regular honey. Made in Byron Bay and 100% cruelty-free, it’s created using highly nutritious organic coconut sap combined with prebiotic rich ingredients, including orange blossom, spices and wild-harvested pine pollen. 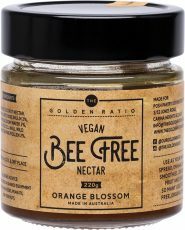 Pure and wholesome, this vegan honey range has an irresistible taste that works well with everything!